Near tragedy in the south: As temperatures top 100 degrees, three children left inside hot car for over an hour. 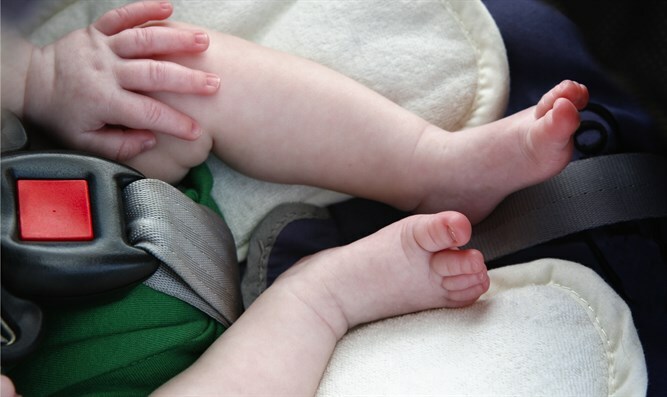 A potential tragedy was averted in southern Israel on Friday, after three small children were forgotten inside a hot car for over an hour. The incident occurred in the Bedouin town of Kuseife, east of Beer Sheva and west of Arad in the northern Negev. With temperatures reaching 101 degrees (38 C) Friday, the temperature inside a closed car left in direct sunlight for an extended period of time can reach 172 degrees (78 C), according to the Center for Disease Control and Prevention. The trapped children were discovered in the car after being locked inside for more than an hour. MDA emergency medical responders were called to the scene and provided first aid before evacuating the children to Soroka Medical Center in Beer Sheva. All three of the children have been listed in light condition and suffered from severe dehydration. On Thursday, a six-year-old boy from the Bedouin community died after he became trapped in the truck of his family’s car. The boy was discovered in the trunk at 6:33 p.m. after having been trapped in the car for hours. He was pronounced dead at Soroka Medical Center shortly after he was evacuated by an MDA emergency team. Police have opened an investigation into the child’s death, and say the circumstances of how he became trapped in the car trunk remain unclear.